Are you in a situation where you don’t have a backyard garden, a covered patio or a front porch where you can go to relax and enjoy the beautiful spring weather? Like most New York dwellers, I too struggle with this unfortunate situation. 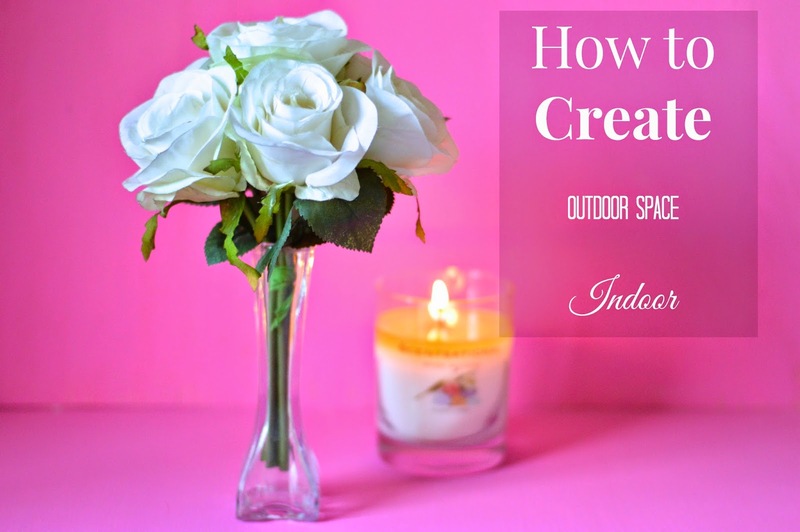 Not to worry though, I have some beautiful alternatives to help you transform your indoor space into a wonderful outdoor oasis. It’s really up to you to think outside the box and not let your surrounding limit your space. Even if it’s in the form of a simple, small plant on the window sill, it will bring life to your space and partially bring the outdoors inside. 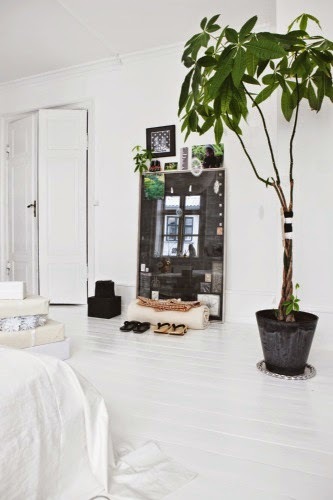 So, you’re not really into taking care of a real plant but you do love the idea of living plants in your home…why not try a fake plant? It might sound a little less appealing than a real plant, but I know some people who’ve held on to their fake plants for years! The white flowers against the pink background in the main photo for this post are fake flowers that I got from Michaels to decorate my bedroom. I’ve had them for years (shhh!) They don’t die and as long as you maintenance them a bit you’re good to go. I personally love them if you get one that’s really great quality, like that one above. I love dressing up a window sill with great pictures, flowers and candles! 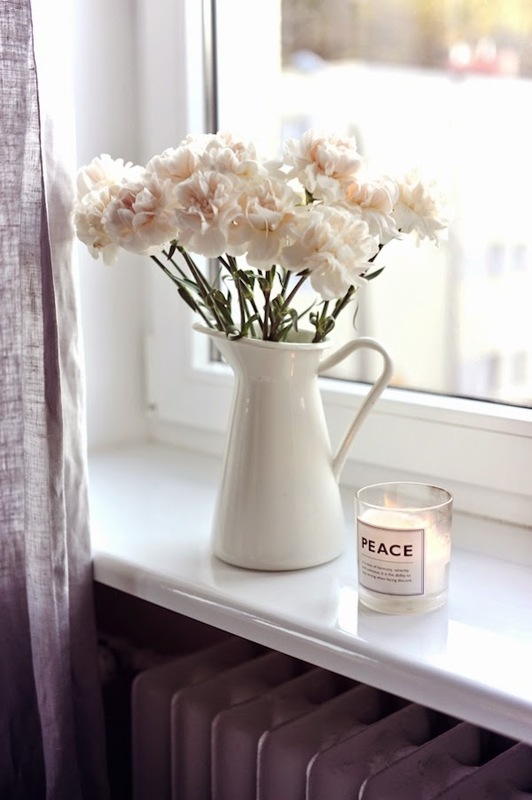 I love the image above because it captures how gorgeous just adding a vase of fresh flowers can make a window sill really chic! Sometimes, it is a bit of work to go out and buy a fake plant or pick up some fresh flowers. However, if you take a look around your home there are things you might already have that you can make good use of to bring a bit of the outdoor space inside. Just take a look around and see what you can do. Often times all you really have to do is open up that curtain that you typically like closed and crack that window a bit and voila–instant change!